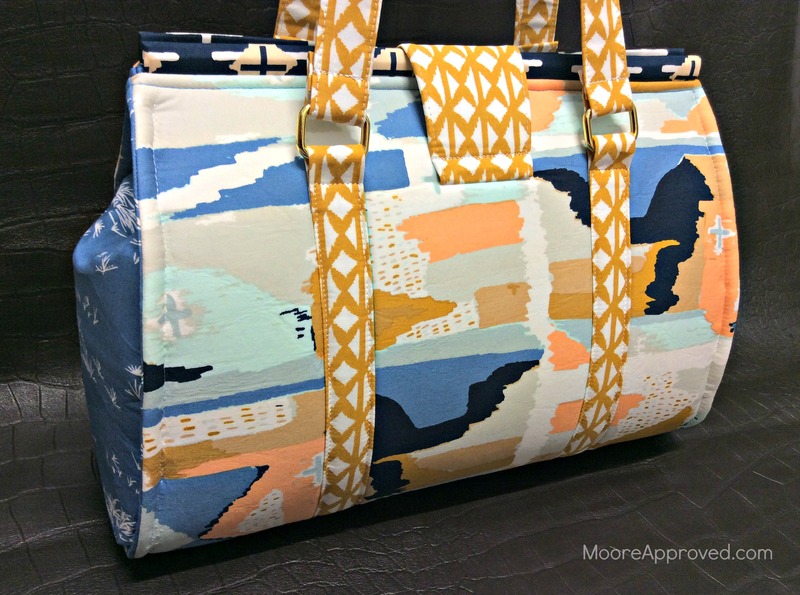 Earlier this month, Art Gallery Fabrics announced the “Bound Challenge” – to create the perfect bag out of April Rhodes’ new line in perfectly appropriate fall colors. 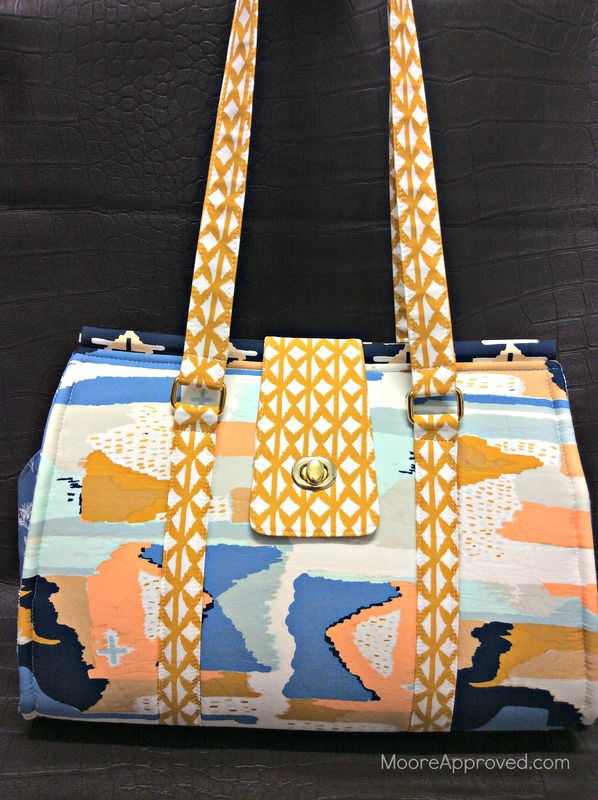 UPDATE: to vote for this bag – HEART/LIKE and re-PIN my entry on Pinterest! Normally, I don’t tend to work a lot with earth tones, but the Bound collection seems somewhat modern – even though it’s overtly rustic. 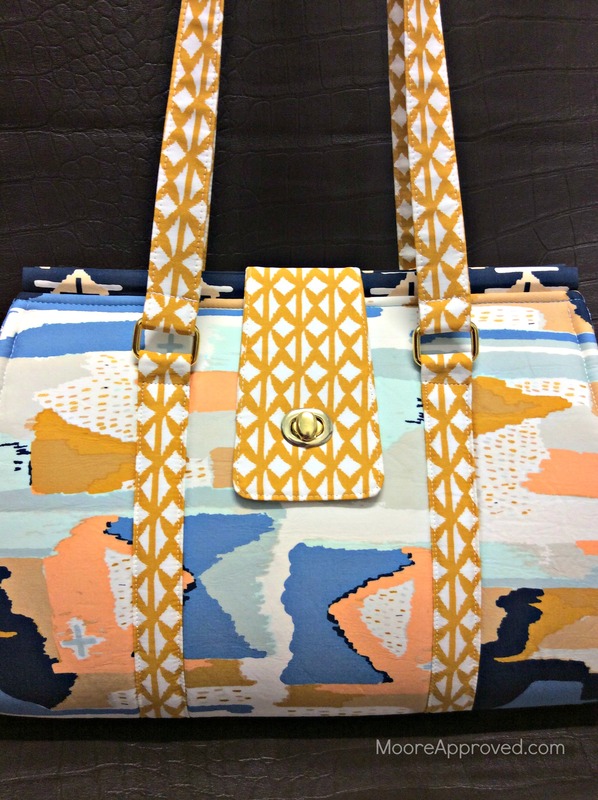 I could definitely see myself making another Swoon Nora Doctor Bag with prints from the “Evening” colorway. All were purchased from Hawthorne Threads – shipping from this online retailer is FAST! The gold hardware was all purchased from Purse Supplies R Us, and the zipper is from zipit. My first go-around with Nora went at a snail’s pace – taking about 30 hours to complete since I was unfamiliar with the pattern and some of the techniques..
With this bag, I kept close track of how much time it took from start to finish. Much improved at 13.5 hours! For me, the most difficult part of construction is still top stitching the “U” of each side panel toward the end of the process. It’s frustrating to get around the curve without a) catching the side panel fabric in puckers – and b) encountering seriously uneven stitching, which is very visible on the finished product. This is the first bag I’ve added purse feet to the bottom – don’t they look so glam? While the pattern includes instructions for adding a zippered pocket on the inside, I also like to add slip pockets to the other side for a phone and other easy-to-grab items. Except for that top stitching issue on the side panels (and believe me, that’s no small issue! ), I love everything else about the Nora Doctor Bag pattern. One tip I can recommend is that I was able to substitute Stiffy for 1-sided fusible Peltex. Stiffy is a heavy stabilizer available by the 35-yard roll at a much lower price. I fused Heat’n Bond Lite to the Stiffy pieces, then fused them to the fabric. The layers bonded well together and I had no problem with them separating while I turned the bag in and out. Using Pellon FF78F1 Flex-Foam 1-Sided Fusible REALLY made life a lot easier for me. The pattern advises you to baste the main panel fabric to the sew-in foam stabilizer, then keep the unbasted top pinned together. When I was making the first Nora, I did do this – and kept poking myself with pins. Being able to fuse the Flex-Foam to the fabric and having it stay put is so convenient! Overall, I am pleased with the fabric and hardware chosen for this project and felt Nora #2 was a significant improvement over dinosaur-print #1. Hope you’re enjoying the crisp fall weather, falling leaves, and the plethora of pumpkin-themed items!